Home » How To Find Forgotten Email Address For Your Blogger's Blog? » How To Find Forgotten Email Address For Your Blogger's Blog? 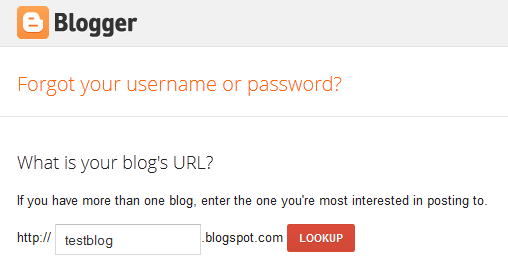 How To Find Forgotten Email Address For Your Blogger's Blog? Labels: Blog, Blogger, Blogger Tips, Blogger Tools And Tips, Blogger's Blog, Blogging, Google Blogger, How To Blog, How To Find Forgotten Email Address For Your Blogger's Blog? If you are a SEO or Blogger. You must have different email addressed which are really tough to remember with their password. So here is and easy way to know about your email adress that which email adress is associated with specific blogger’s blog. 2: Enter the Url of the blog about which you don’t know that which email address was use for that blog. 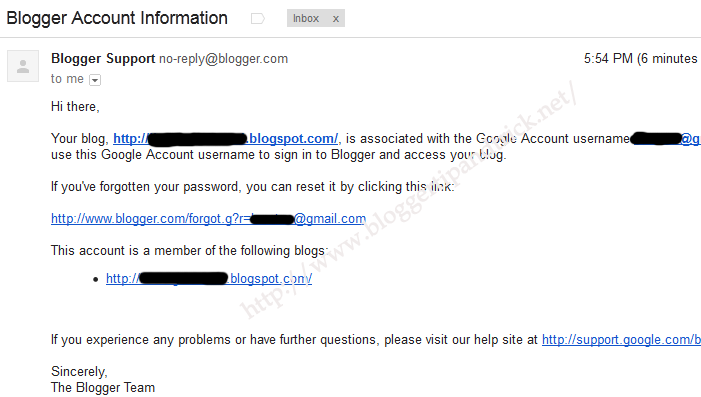 3: Blogger will sent and email with sign in instructions to that email. Now check your email adresses and find the specific email address for that blog. You can also find the blog by given email id in the lookup box. If you don’t know that which blog is associated with that email id.